Construction Scaffolding Debris net is also named Safety Nettings, Building Safety Net, Debris Safety Netting, Construction Scaffolding Debris net, Fence Nets, Debris Nets, PE Scaffolding Net, Scaffolding Netting. Plastic safety debris net is designed for shelter of building facade to cover scaffolding against debris falling, the wind and sunlight. Debris netting for scaffolding safety can protect workers and pedestrians walking near the site of scaffold structure. Also called Scaffolding Net, applied as building material in various construction projects. Size of cloth: 2x50m and 2x100m and 4x100m with the edges of the cloth are with the denser (tighter) tying (joining). 7, 5 (+-5%) in term of transverse(lateral) stretching. The relative prolongation (lengthening) at maximum load (%) is longitudinal stretching= 40, 0 and transverse (lateral) stretching=52, 0. The durable and windbreaking materials can work effectively as anti-wind mesh fabrics in preventing debris and other articles from falling and protecting people from getting injured. Knitted plastic mesh of HDPE, PP and PE can offer up to 95% UV protection and block up to 90% of the suns harmful rays. There are rust free D rings to each corner of the sails, re-enforced edges with netting sewn within and double stitched. With this design, knitted mesh can provide both shading and security, hence a better and safer work environment for the workers. Rolls Lengths: 10m, 50m, 100m or by requirements. 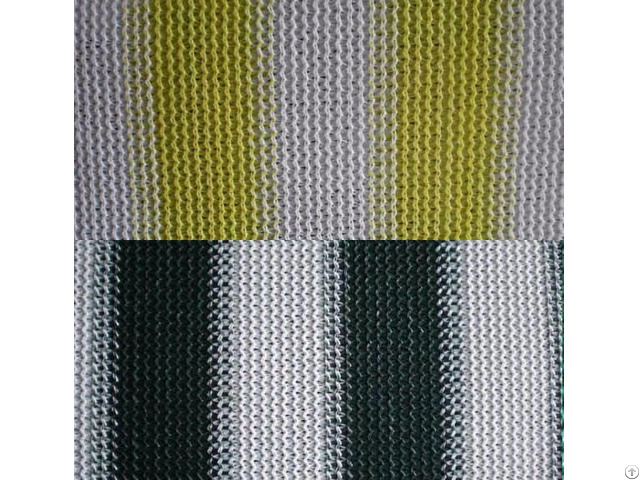 Colors Green, Black, Dark green, Yellow, gray, Blue and white or by requirements. Using life: 3-10years, under normal weather conditions and use. 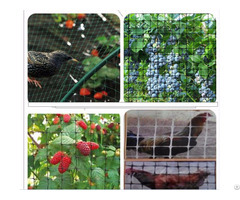 Plastic shade net is durable, light, airy, ventilated, transparent, dustproof, noise proof, suitable to be used as safety barriers around scaffold area. 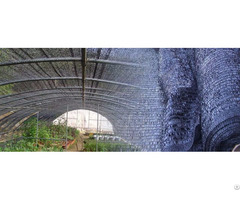 Knitted HDPE netting is fire-proof material, this enable it an ideal material in various construction sites especially for multi-storey tall buildings safety netting during construction. 3 needle knit netting, available in unit weight of 70GSM, 75GMS, 78SGM, 90GSM. 6 needle knit netting, available in 150GSM, 180GSM, 200GSM. 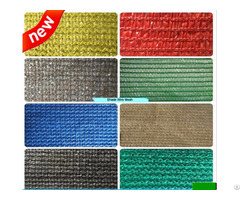 9 needle knit mesh, available in 130GSM, 150GSM, 180GSM, 200GSM.